Forget The Fate of the Furious. Baby Driver is now our most anticipated car movie of the year. We’re big fans of The Fast and the Furious franchise, and can’t wait to see how The Fate of the Furious will outdo its outrageous predecessor when it screeches into theaters next month. But while there will be plenty of dream cars for us to salivate over, driving skill tends to take a back seat in favor of spectacle. These movies bombard you with stunts, crashes and explosions, and often resort to CGI when the action gets too extreme. That’s why the trailer for Edgar Wright’s new heist movie Baby Driver was such a breath of fresh air. Many modern car chase movies use CGI to eliminate the danger of real life stunt driving. Baby Driver, however, is a love letter to old-school car movies like Bullitt, The Driver and Gone in 60 Seconds, and relies on practical effects rather than sinful CGI. Breaking down the international trailer, director Edgar Wright sat down with Empire to provide further insight. Apparently, the shot was filmed using a drone camera because the alleyway was too narrow to fit a helicopter. A quick check on IMDB also reveals that Fry performed the stunt driving in films including Jason Bourne, John Wick Chapter 2, and Batman V Superman. Even the lead getaway car in Baby Driver is an inspired choice. 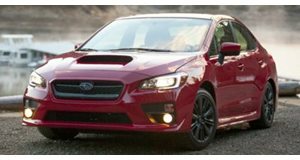 Whereas The Fate of the Furious will feature tire-smoking Dodge Demons, Chargers and customized exotics, the lead character in Baby Driver outwits pursuing police in a Hawkeye Subaru WRX STI.